The Oregon Health Plan (OHP, aka Oregon Medicaid) currently covers more than 1 million low-income members, or one in four Oregonians. As part of its commitment to health delivery system transformation, the state has embarked on an ambitious plan to establish coordinated care organizations (CCOs) and support value-based purchasing. This initiative has been widely studied. This article provides an overview of the major CCO initiatives, explores ways in which actuaries may better support Oregon’s efforts and identifies design elements of the Oregon model that might be replicated in other states or markets. Improve the individual experience of care. Improve the subject population’s health. Reduce overall health care spending. 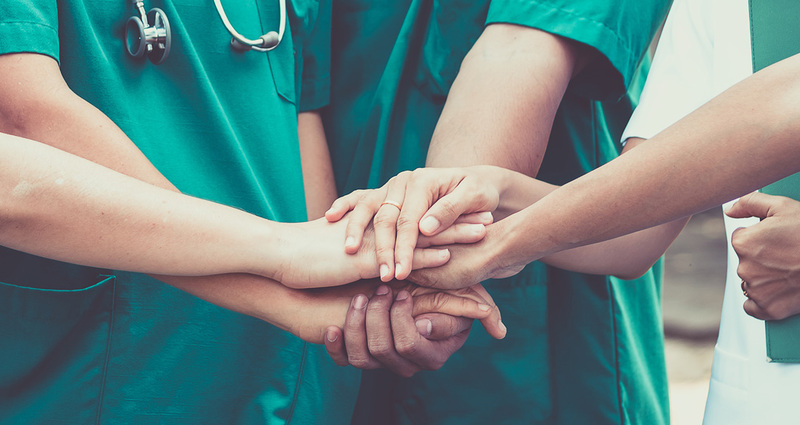 Oregon planned to demonstrate success through an extensive measurement process, and in 2012, HHS approved an amendment to the OHP waiver that created a “Coordinated Care Organization” model. Confident that its approach would meet the IHI’s Triple Aim, Oregon entered into an agreement with the federal government that extended broad flexibilities and nearly $2 billion in federal funding. In exchange, the state committed to limit its medical per-capita growth to 3.4 percentage points, enhance quality of care, improve population health, withhold 1 percent of income payable for the timely and accurate reporting of required metrics, and implement a quality incentive pool.4 In January 2017, Oregon renewed the waiver for another five years (through June 30, 2022) in order to transform its health system further. What is a Coordinated Care Organization? Oregon’s health system transformation centers on the creation of CCOs, which effectively replace traditional Medicaid managed care plans. CCOs are networks of providers offering physical, behavioral health and dental services with an emphasis on preventive care and chronic disease management. CCOs provide these services under a single, global budget that grows at an annual fixed rate and operates at a local level. They generally serve one or more counties, assuming responsibility for the health outcomes of their resident population(s). Local providers, community members, organizations and stakeholders govern the CCOs and assume the associated risks and financial responsibilities. Currently, 16 regional CCOs serve Medicaid and state employees across Oregon. One hallmark of Oregon’s coordinated care model is its focus on local performance. The state measures progress on 17 selected CCO performance metrics and 33 statewide measures. The CCO measures are tracked individually to enable each CCO to focus on its own continuous improvement. Each CCO retains broad latitude on how to serve its population, enabling each CCO to respond to the unique characteristics and challenges. The statewide measures, which the Centers for Medicare and Medicaid Services (CMS) uses to determine any financial penalties due, include 16 of the CCO metrics as well as additional performance measures. The 2012 OHP waiver amendment, among other things, dampened the state’s per-capita rate of growth in medical costs. In 2017, for example, the per-member-per-month (PMPM) growth was contained at 3.4 percent, versus the 5.4 percent increase that was predicted to occur in the absence of health system transformation. The state transitioned more than 60 percent of its Medicaid beneficiaries (dual eligibles, tribal members and certain members with special health needs were given the choice to opt into a CCO, while others were defaulted into CCO enrollment); achieved meaningful provider reform; and encouraged collaboration among hospitals and CCOs. One of the major successes of the CCO model was the Hospital Transformation Performance Improvement Program (HTPP), which mimics the Minnesota model5 by offering a cash incentive (the “quality pool”) to promote Triple Aim goals. This incentive program pays for value rather than volume. Through a transparent process, the legislatively established Hospital Performance Metrics Advisory Committee selected 11 outcome metrics covering six domains. Benchmarks are established for these 11 measures each year, and hospitals may earn incentive payments by achieving the targets associated with each of these measures. Hospitals that fail to meet these benchmarks can still earn a payment by reaching an improvement target based on their score from the prior year. Oregon’s 28 diagnosis-related-group (DRG) hospitals, which are typically large, urban hospitals, participated in the program. Each hospital is eligible for a portion of the quality pool, the size of which is determined by hospital size and the number of measures submitted. Per CMS requirements, Oregon conducted an independent evaluation of the HTPP by contracting with Oregon’s Health and Science University’s Center for Health Systems Effectiveness (CHSE). CHSE partnered with the Providence Center for Outcomes Research & Education (CORE) to administer hospital surveys and stakeholder interviews. The results of these surveys and the analyses of survey results (which used regression models) comprised part of the CHSE’s evaluation. Screening for alcohol and drug misuse, brief intervention and referral to treatment in the emergency department (ED). This measure saw the greatest improvement, with screening rates growing seven-fold over baseline despite the fact that this measure involved a new process for EDs in hospitals. Hospitals share ED visit information with primary care providers and other hospitals to reduce unnecessary ED visits. The rate of primary care notifications increased by nearly 16 percent. Based upon performance data submitted for each of the 11 incentive measures,6 a total of $87,482,365 in quality pool funds were disbursed in the third year of the program (October 2015 to September 2016). Another significant component of Oregon’s health system reform is the patient-centered primary care home (PCPCH) program. Established through legislation in 2009, the PCPCH program, essentially Oregon’s version of a medical home, is a primary care model that builds on a comprehensive, patient-centered and team-based approach. The standards for this program are similar to the patient-centered medical home (PCMH) designation that the National Committee for Quality Assurance (NCQA) offers. Evaluations of the program have revealed that the CCOs have made improvements in bettering health outcomes, increasing patient satisfaction and improving cost savings. A 2016 evaluation showed a direct per-person reduction in service expenditures of 4.2 percent, along with additional savings of $13 in other services for every $1 increase in primary care services.8 Impacts increased in proportion to the length of time these practices had operated as PCPCHs and in proportion to higher tiers of recognition. The potential effects of these improvements on the health care delivery system could well be greater because, once a practice begins operating under the PCPCH model, the changes in its operating procedures apply to all patients (and not just its Medicaid members). As Oregon continues to build on the PCPCH model, one of its main challenges lies in adopting financial approaches that incentivize clinics to restructure their practices to fully align with PCPCH standards, particularly at the higher tiers. These clinics face significant costs in transforming their practices, costs that may be difficult to recoup under traditional FFS payment models. No set payment models have been established across the state (though various opportunities for incentive payments do exist); individual CCOs determine for themselves how to reimburse PCPCH practices. The Public Employees Benefit Board offers age-adjusted PMPM incentive payments to tier-2 and tier-3-recognized PCPCH practices. Reviewing the variety of reimbursement models that CCOs have implemented may inspire further recommendations on how to develop a successful payment methodology. Actuaries could provide more guidance moving forward by analyzing CCO performance metrics and rating groups within CCOs on quality, access to care and member satisfaction. During the next phase of its program, Oregon would like to focus more on value-based payment models. Actuaries may assist in setting hospital and PCPCH program targets as part of alternative payment model designs. They also could work closely with the Office of Health Analytics to address areas of interest, such as cultural competency and health disparities, and work to achieve goals such as cost containment and quality improvement. One important question is whether or not Oregon’s CCO approach could be replicated in other states. Though Oregon is predominantly rural with few urban areas, it is more progressive than other states, which may have fostered the right environment for this innovative approach. An in-depth actuarial study of CCO performance during the 2012 waiver amendment could be illuminating. First, variables that may have contributed to a given CCO’s success would be identified. Such variables might include state support, environmental conditions, legislative forces, localized accountable care organization (ACO) model approaches, value-based payments, quality/incentive targets, providers’ attitudes toward innovation and their readiness to accept risk, appropriate infrastructure, rural/urban regions, data support and performance measurement. Next, available data sources would be identified, and data would be collected across CCOs both before and after the launch of the CCO models. Additional stakeholder surveys and data collection might be required to fill any gaps. Finally, actuarial models could be applied to identify the factors that contributed to the success of the Oregon program, including those variables that were most critical and had the greatest impact. What key factors contributed to Oregon’s early success? How critical is hospital and provider involvement in helping to contain cost trends? How may meaningful health care outcomes and reform be realized in an environment of cost containment? What role do vertically-integrated provider systems and organized delivery systems play in these transformations? How can the CCO model be used to better integrate physical and behavioral health care services? What are the implications for future innovations in Medicaid programs? What role did PCPCHs play in this transformation? What opportunities might future transformations provide for these types of CCOs? By contributing analysis that helps to answer questions like these, actuaries could play significant roles in public health programs and contribute greatly to state programs focused on the transformation of health care delivery. Sudha Shenoy, FSA, CERA, MAAA, has extensive experience with health care rate-setting, pricing, product development and provider risk modeling for commercial, Medicaid and Medicare lines of business. She also served as a member of the Board of Directors of the SOA. She is vice president, Actuarial Services, at Evolent Health in Virginia. Michelle Mickey Rork, MPA, MPP, has more than 20 years of federal and state Medicaid and CHIP experience focusing on managed care delivery systems and policy implementation. She is a managing consultant for The Lewin Group and previously served as the CHIP director in Georgia. Can We Leverage Our Tools to Save Lives?